How many times have you had mushrooms on hand and you just sautéed and served them up as a lackluster side dish? Never again! Okay, I’m sure we will do it again, but after having these flavor packed oven-roasted mushrooms my eyes have been opened to a whole new super easy way to prepare the fabulous fungi. I won’t deny, I have simply sautéed mushrooms an abundance of times myself but mushrooms deserve so much more than that! These roasted mushrooms are so simple and the flavors come together very nicely. This dish really has an elegant flare to it, perfect for a romantic dinner night. I served it with sliced tri tip and some crusty bread to sop up all those yummy juices. Can’t let wine go to waste after all! Note: Chop any large mushrooms in half so that they all cook evenly. 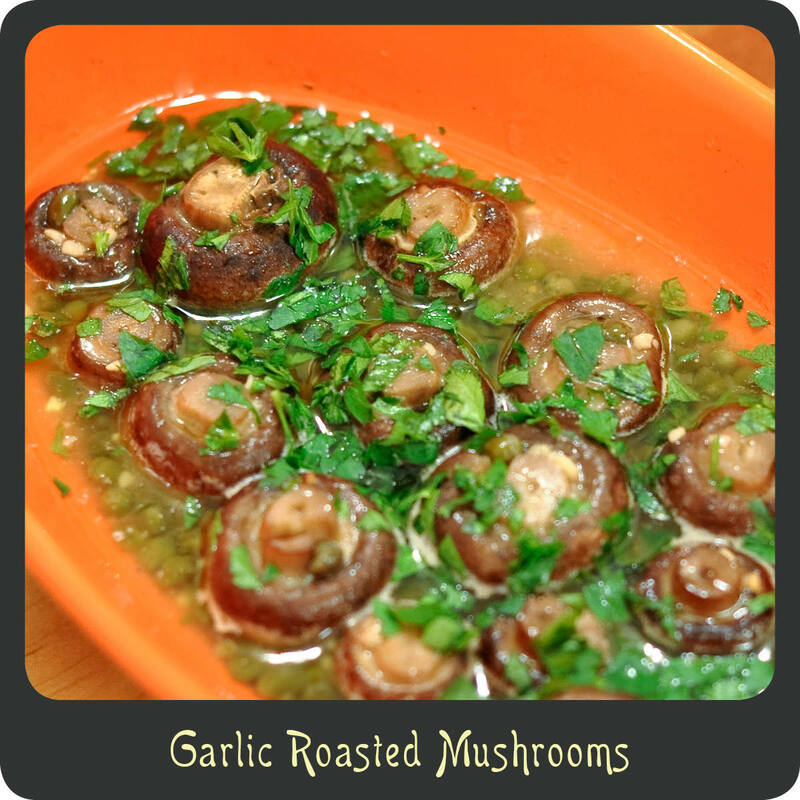 In a small baking dish toss together the mushrooms, capers, garlic, olive oil, wine, salt, and pepper. Roast stirring occasionally until the mushrooms are tender, about 15–20 minutes. Remove mushrooms from oven and stir in the lemon juice.